Refresh your shirt collection for the warmer months with the Garment Dyed Poplin Shirt. The short sleeve shirt is a summer essential, with lightweight cotton and a fuss-free, relaxed fit. 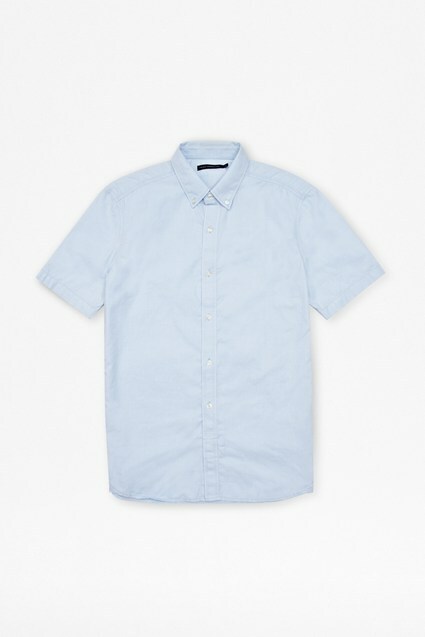 The shirt has a button-front with panels for shape, adding a unique finish to the casual shirt. Pair with slim fit trousers or shorts on warmer days.